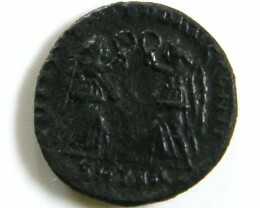 A remarkable coin was recently sold by Classical Numismatic GroupMail Bid Sale 82 on the 19th of September 2009. 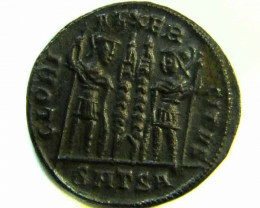 The coin itself is not spectaculars, only a small bronze piece. 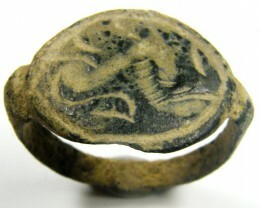 Also from a common emperor and a part of a collecting theme that is not so spectacular at the first look. 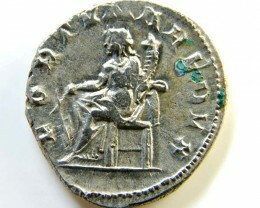 The Romans allow to some cities to mint coins, with the head of the emperor on one side, leaving the reverse of the coin free to the engraver’s artistic view. Also not always the legends are in Greek, and not Latin, a symbol of a partial freedom that the city had inside the Roman Empire. These local coins (very similar to tokens in the XIX century) are named provincial coinage. 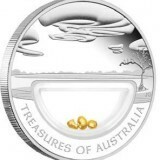 This coin represents an interesting collecting theme, with many interesting pieces like the one that we will present. 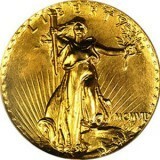 It is made in bronze and has a weight of 12 g and a diameter of 25 mm. The value of the coin was 4 assarion, the Greek equivalent to 4 asses therefore in roman system it had the value of 1 sestertius. 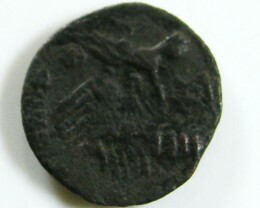 The coin was minted by the city of Heliopolis (“The city of the Sun”) in Coelesyria, a roman province now in modern Syria, and minted in the name of Emperor Caracalla 198-217. 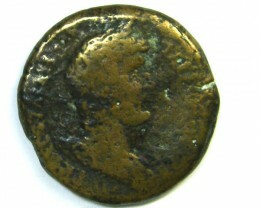 The exact date is not known but the coin is probably minted after 211, year in which Caracalla remained the sole emperor. 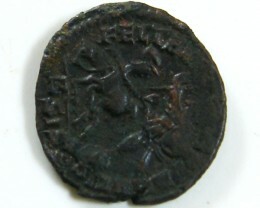 The obverse shows the emperor’s head, to left, with laurels and wearing a military cuirass and also a toga. The legend is written in Latin AUGUSTO ANTONINO ( To Augustus Antoninus). The reverse is spectacular. The main temple of the city and the region, the temple of Jupiter Heliopolitanus (the protector of Heliopolis) is shown viewed from an aerial perspective. The temple is a classic construction, build on columns. The artistic feel of the engraver is very high. The image of the temple looks as it was just photographed from an airplane. 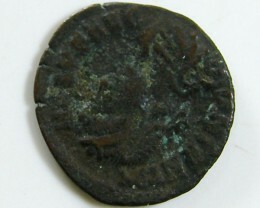 The coin is not in an excellent condition, with an ugly patina but still an attractive coin. The piece was estimated at 500 $ but went up to 700, without fees. 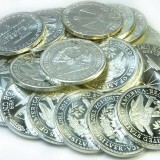 This proves that it must not be coin minted in Rome to be a collectible.